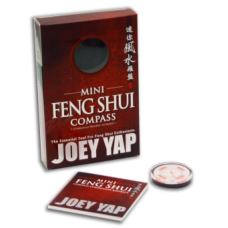 Joey Yap's Mini Feng Shui Compass is a specially crafted tool that will allow you to measure important directions when applying Feng Shui techniques and applications to your home and office. This Mini Feng Shui Compass comes with an accompanying Booklet to assist and guide you in your pursuit to practice your Feng Shui skills. This is an essential tool for any Feng Shui enthusiast as it can be used to measure your sitting position in the office, the direction your property is facing and to determine the correct position of the key aspects in your home or office. 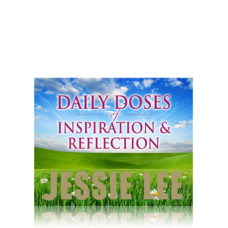 Use it just about anywhere that you need to take directions. 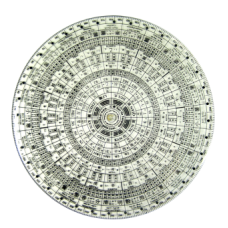 Feng Shui practitioners will find this a versatile tool to have around; allowing them the convenience to take measurements quickly and accurately even though they do not have a full-sized Luo Pan. 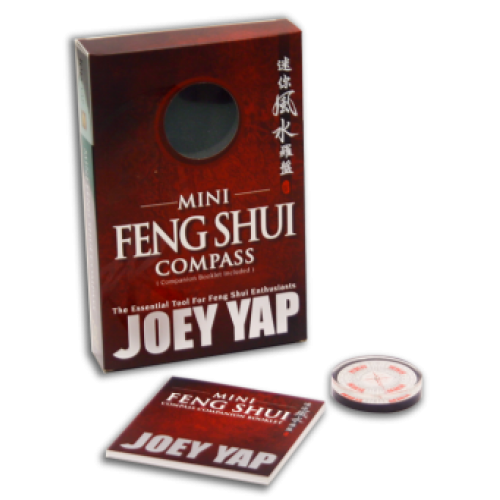 Joey Yap's Mini Feng Shui Compass weighs a mere 100grams, with bi-lingual features (English and Chinese) and its compact structure makes it suitable for traveling.